Description Hand coloured, steel engraving. Size 29cm x 38cm (11" x 15"). 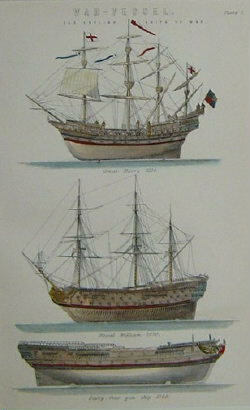 Old English ships of war, Great Harry 1514, Royal William 1670 and sixty-four gun ship 1760.